This theme offers such an amazing design that it sets a new standard in real estate industry. 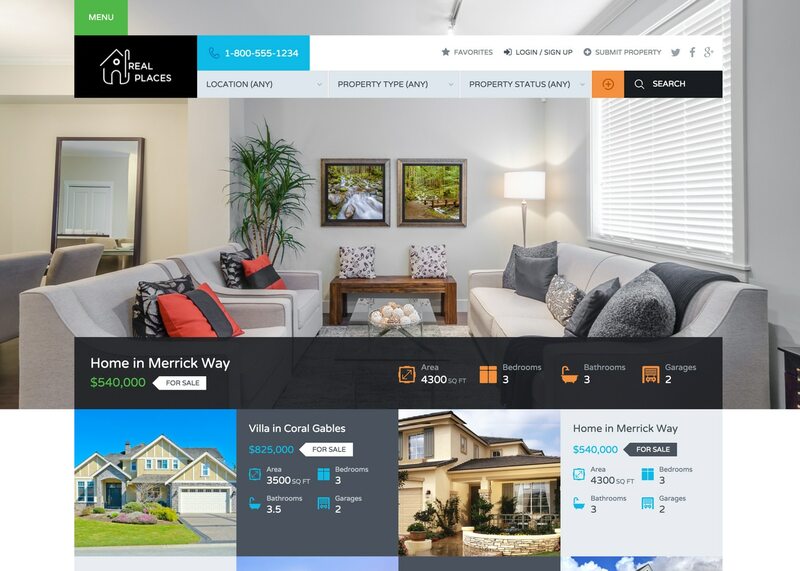 It offers various design variations with very useful features and this combination makes it a top choice for a realtor looking for a modern website. This theme includes advanced properties search functionality that is not only powerful but also fully customizable to fulfill various requirements. You can choose which fields you want to display, In what order to display those and what data to display in those. You can display multiple location fields to provide search behavior like State > City > Area. This theme includes Google maps support that enables you to display Google maps with properties markers on search results page, properties display pages, property detail page, home page, contact page and taxonomy archive pages. 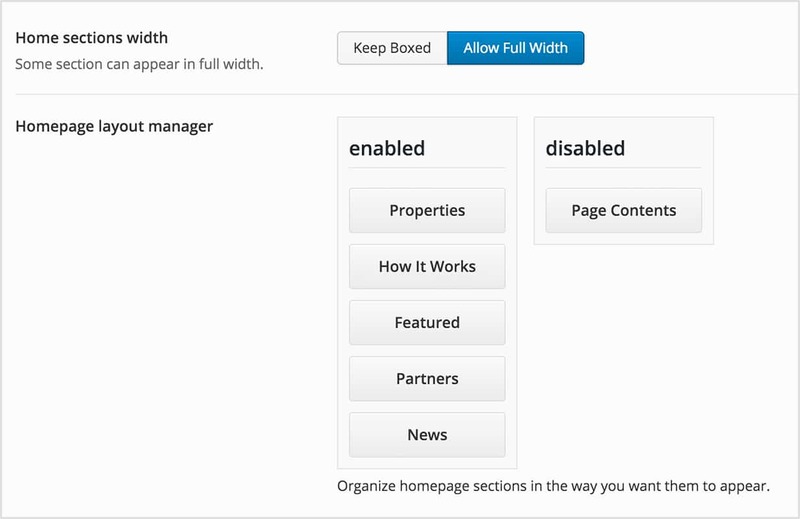 Using drag and drop layout manager for home page, You can show/hide and arrange home page sections in any order you want. You can also use Visual Composer in home page contents module to add custom contents to home page. 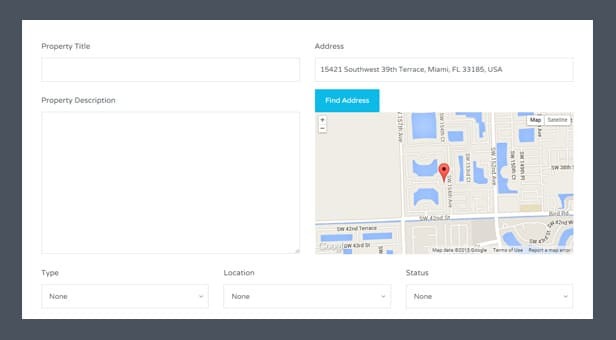 Real Places theme provides a rich set of meta boxes, To make it easy for you to add and modify information and media files to a property. 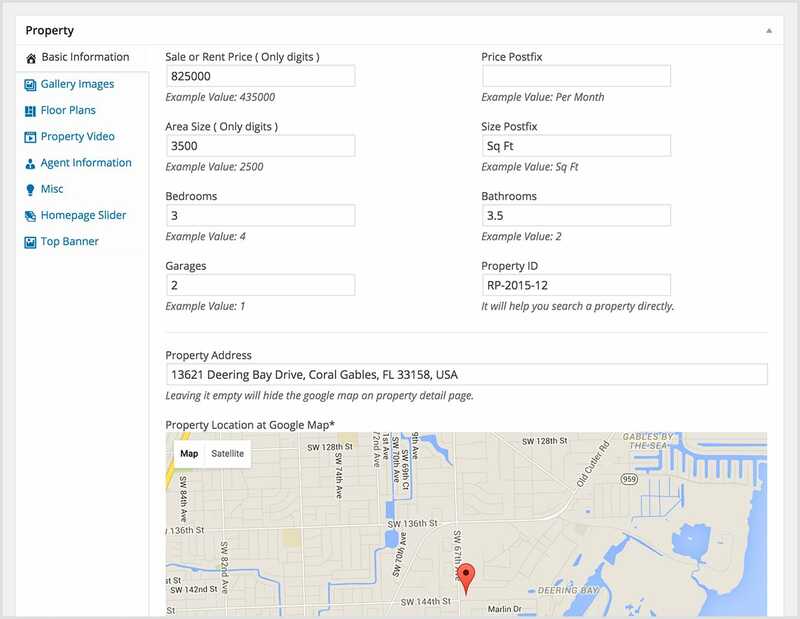 Real Places provides a very easy to use interface to add/modify/remove additional details related to a property. This feature can be used in many ways especially to add a certain type of information for which there is no meta box is provided by default. 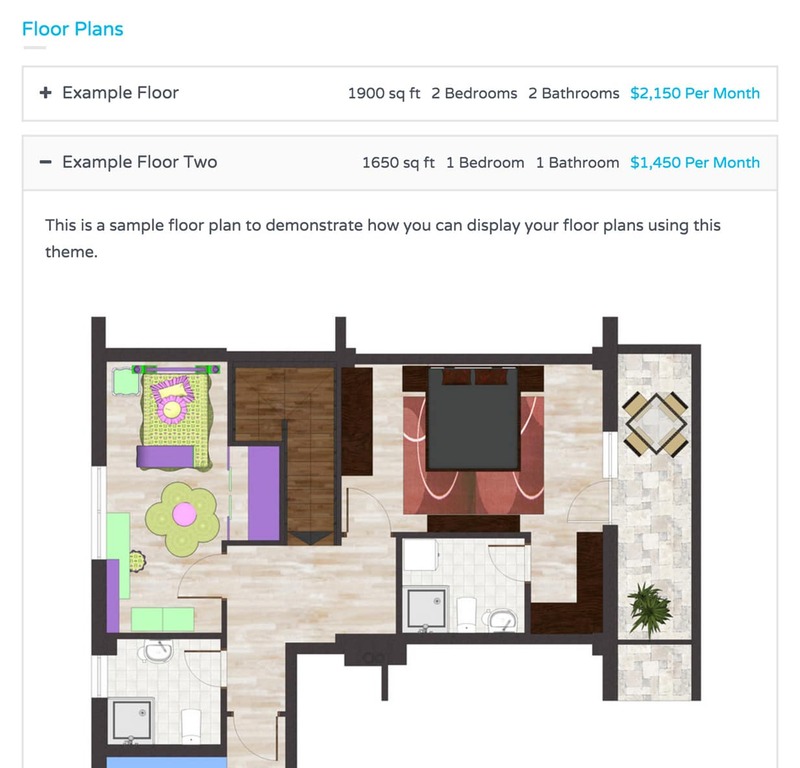 You can add floor plans related to a property using a very intuitive user interface provided on property add/edit page in WordPress admin side. Each floor plan can have its own description, image, price and other specifications like size, beds, baths etc. You can configure front end property submit and edit functionality in this theme to enable your website users to submit a property. A registered user can view a list of properties that only he has submitted and he can edit or remove or pay the publishing fee of a property from that list. A visitor can add a property to his favorite properties. Later on he can view his favorite properties and if needed he can also remove a property from his favorites collections. Favorites information for a simple visitor is stored in cookies but for a logged-in user it is stored in database. This theme provides Google reCAPTCHA with every form to prevent spam messages. Real Places provides various page templates with comprehensive set of settings to filter & sort properties to fulfill any requirements. Basically, You can create a page containing any number of properties having any layout and those properties can be of any type, status, location and feature OR any combination of these. 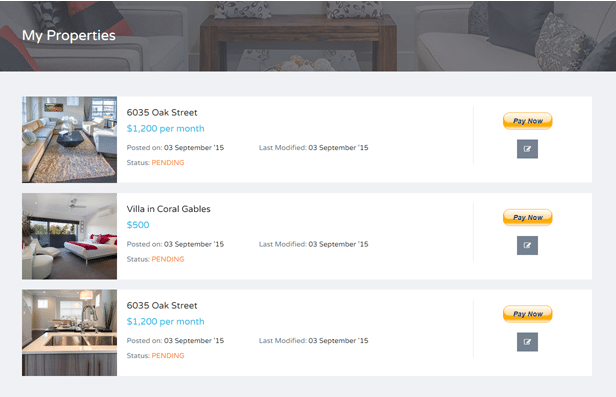 You can also filter properties based on information like bedrooms, bathrooms, prices etc. Child properties support is provided, So that you can add big building with child/sub units to display each one with different information and prices. For example a building with 3 different types of flats with each one having different bedrooms, bathrooms, area and price. This theme is translation ready and you can translate it to any one language without the need of a plugin. But, If you want to build a multi language website then you can use a plugin like WPML with this theme. You can display similar properties module on property detail page to display properties that are similar to current property. This theme provides and supports various custom widgets needed in a real estate website. For example mortgage calculator, feature properties, advance properties search form and social icons widget. This theme provides 3 different design variations for property detail page. You can easily switch between any variation from theme options. This theme includes three 3 different page templates to display agents in 2 columns, 3 columns and 4 columns. This theme provides a front end dialog for user registration, login and recover password support that enables your website users to enjoy member only features like property submit, edit and profile edit. You can configure PayPal payments to collect publishing fee from users who have submitted properties to your website. You can provide various types of files ( pdf, office documents, images etc ) as attachments to a property. 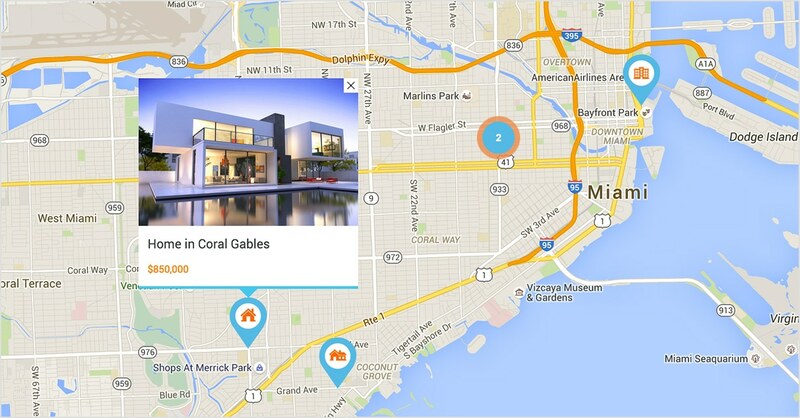 This feature can be use in various innovative ways to share further details about a property. This theme includes one click demo importer to help you quickly setup a website similar to theme’s demo. So, What are you waiting for? Install Real Places and take your website to next level.